Some words have been used for so long that they have almost become opaque. You would think that a word like “light” would forever keep its transparency and do what all good nouns should do, which is provide a portal into the reality of the thing being named. But “light” has been dimmed by a variety of definitions that lead us away from the spiritual reality described by Jesus and other teachers throughout time. Perhaps the closest we get to a spiritual understanding of light is in what science tells us – radiant energy emitting from a source and radiating out in all directions. When Jesus said, “If your eye is single, your whole body will be full of light,” he wasn’t saying pay attention and you will understand. He was saying that at the center of your being there is source of light that radiates outward in all directions. Maybe it was the electric light bulb that made us think that we create our own light, switching it on and off whenever we like. But the Ancients knew the spiritual nature of light. 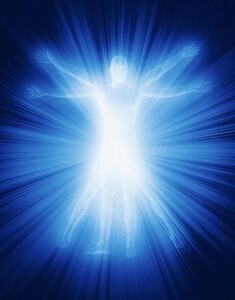 They knew that there is only one energy in the world – the energy of God – that it manifests as light and is conscious. Outwardly, we see light with our eyes, or, more correctly, we see it in the visual cortex of our brain. The eyes are merely the receptor organs. But inwardly we see light in a place deeper than the brain. 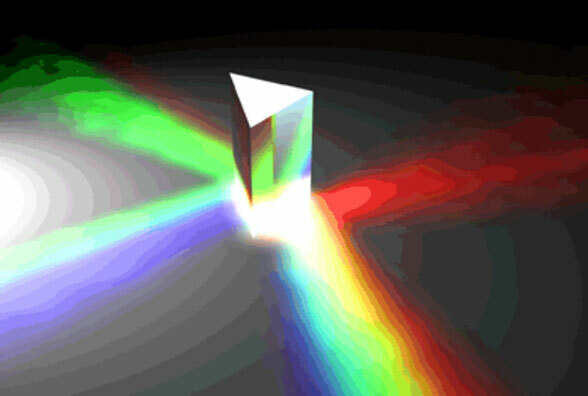 We have an interface, a way with which to perceive light of a higher vibration than our eyes can see. This interface is the electrical nerve energy in our body. This “neural net” acts like an antenna, an energetic antenna that is more attuned to the spiritual light because it is closer to it in vibration. If we try, we can feel or “see” this neural net. We can sense it. But as we do with most everything we look at, we look at it from the outside in. We look at it. The opportunity is to see what it is seeing, what the antenna itself is picking up, an energy that is twice removed from the physical senses but nonetheless can be accessed through the neural net. When I say “neural net,” I am not referring to the spaghetti-like structure of nerve fibers that the surgeon sees, but rather the energy that flows through them. This energy is so familiar to us that we take it for granted. Some call it life energy; some call it light. But either way, if you think of it as being the product of chemicals reacting in your physical body, you lose the opportunity to experience the greater reality, which is the great spiritual Being within which we live. Scientifically, we can understand how nerve impulses are generated, and we can measure them, but science will not acknowledge that the energy within the nerves is the stepped-down equivalent of a higher substance. This we have to study for ourselves. When we regard the energy matrix of the body as an antenna, we can understand how God reaches into the world and animates it. Spiritual energy can be picked up by physical energy, because they are next to each other on the spectrum – not the spectrum we see in the illustrations in a textbook, but the spectrum of resonance. Just as striking middle C on a piano keyboard will cause all of the other octave C’s to vibrate, so does spiritual energy affect the nerve energy in our body. It is subtle, but because it is subtle it is very powerful in its effect. The challenge is to first become aware of it and then work with it. When we first tune into the energy that the energy in our body is picking up, the exhilaration can be intense. The first response is to luxuriate in it, but then we tend to turn away and look for more familiar experiences. But that’s okay. Try doing this in meditation. Bask in the light. See what you can see. Be receptive to it. Above all, be receptive. I really appreciate how you explained light. I too, even after experiences of light, was not as clear about what it really meant. I have felt it, but couldn’t articulate it so clearly. Thank you. Just today I was hoping for another post from you. They are always so meaningful.